UST gas sensors type GGS are used in many applications, predominantly where the health and safety is of importance. 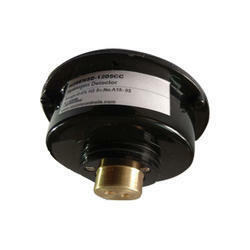 - Stationary on-line sensor for continuous monitoring of Methane gas. - Personnel safety monitoring in coal mines, pumping station, Process plans, material handling plants, Switch room and sewage systems. - 0.4 to 2V DC Analog output. - Liquid Analysis :- Ammonia , Chlorine, Concentration Conductivity, p H and Conductivity. - Humidity :- Hygro and Hygrothermal Transducers, Humidity Transducers and measuring Probes. 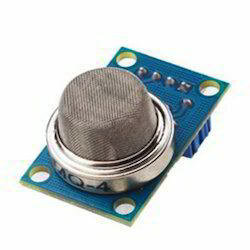 MQ-2 module is suitable for detecting H2, LPG, CH4, CO, Alcohol, Smoke or Propane. The module gives out the concentration of the gases as a analog voltage equivalent to the concentration of the gases. The module also has a on-board comparator for comparing against a adjustable preset value and giving out a digital high or low. We are offering a wide range of Sensor to our clients as per their requirement. Our clients can avail our products at market leading prices. Feel free to contact us. Our transmitters are capable of effectively meeting the demands of energy-care, environmental protection and air quality. Rohan BRC Gas Equipment Pvt. Ltd.